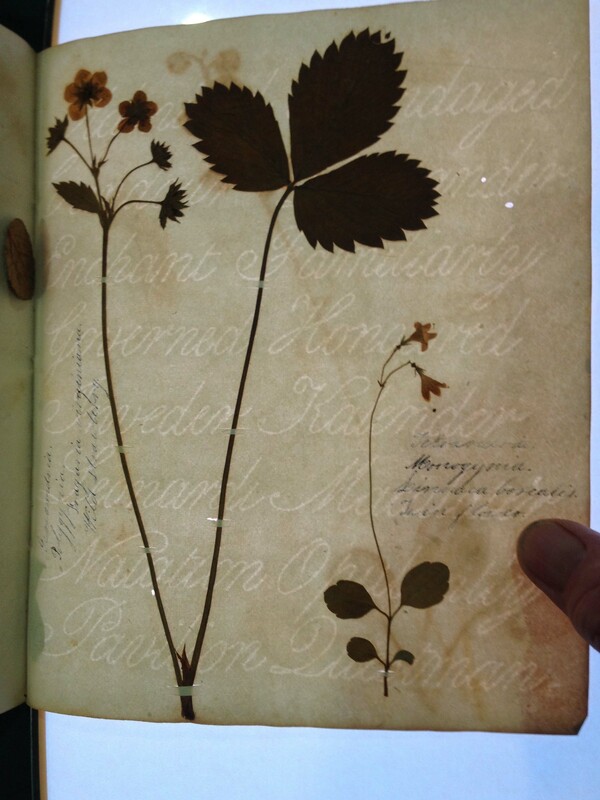 Early writing manuals are important for their innovations in education as well as advancing publishing by making instructional illustrations available to readers at a distance from the instructor. First with woodblock illustration, then copperplate engraving, the illustration techniques required were high tech at the time of their invention. But a few hundred years of engraving and the innovators were eager to try something new. 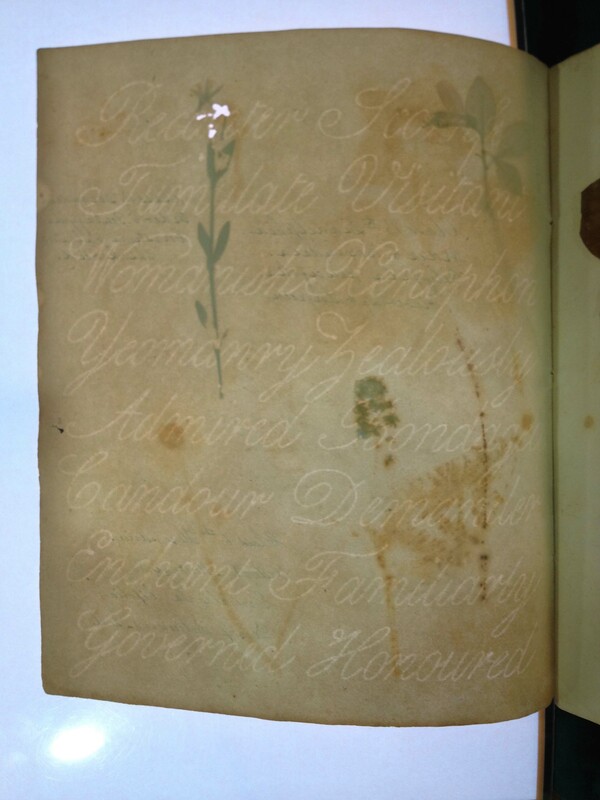 Joseph Seavy had a bold plan for teaching students how to improve their handwriting by “printing” pages where the lesson was made as a watermark. 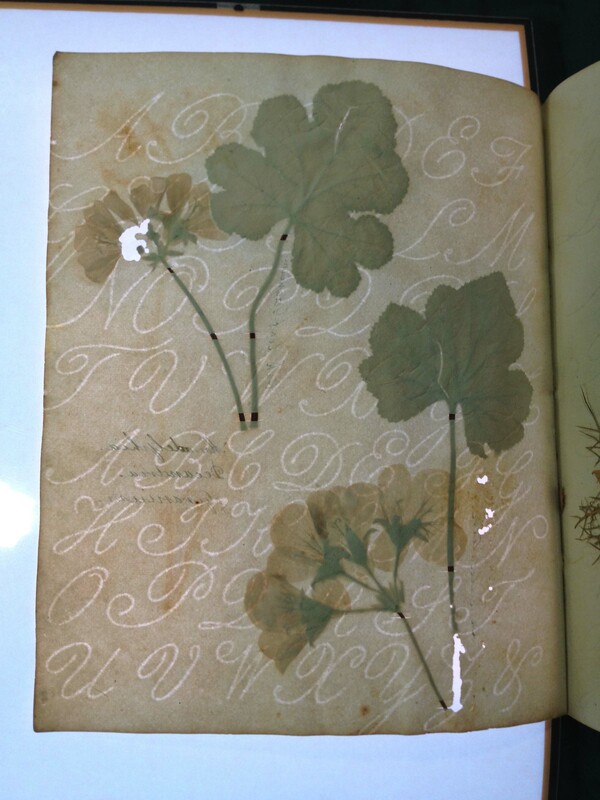 A watermarked text allowed the student to trace the watermarked letter as a guide. There is no text printed within the book itself, only on the cover wrappers. 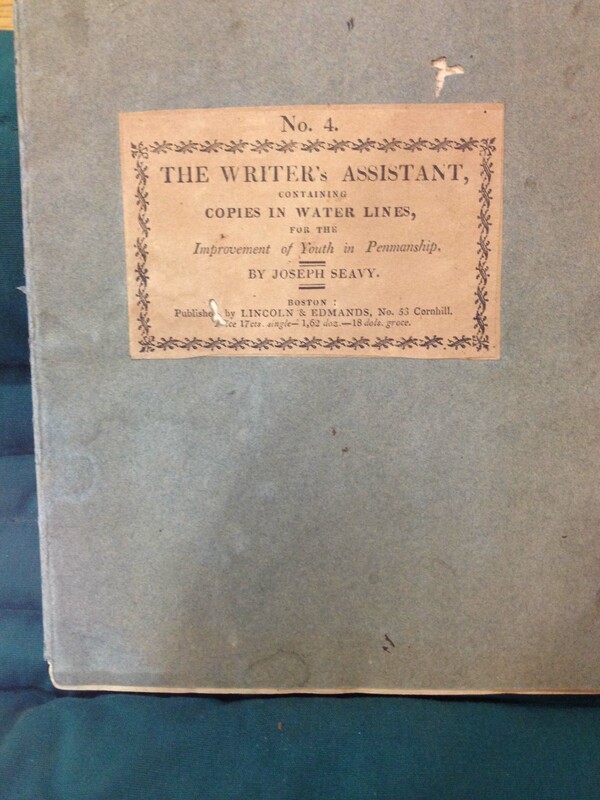 Back cover of the Writer’s Assistance by Joseph Seavy. 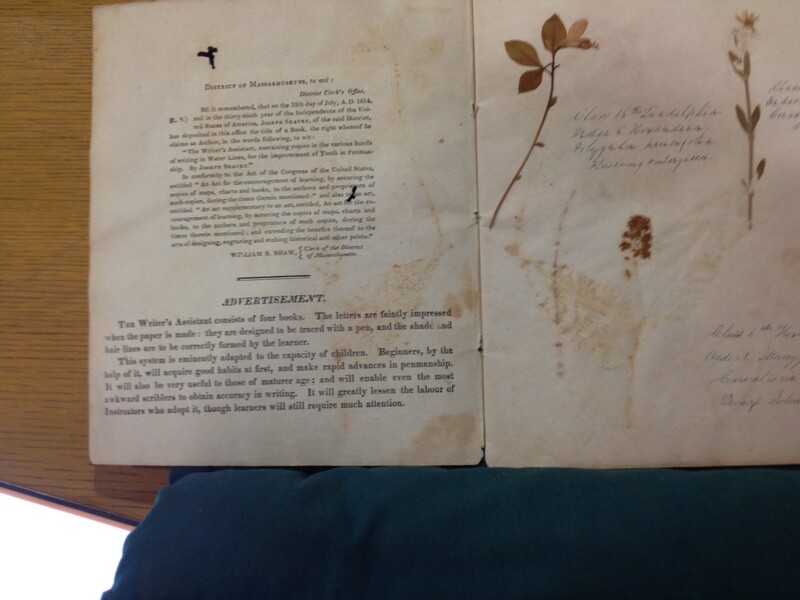 The Newberry copy is No.4 of the series in the title and was never written in because it was reused to dry flowers. The Writer’s Assistant by Joseph Seavy. Boston 1814. 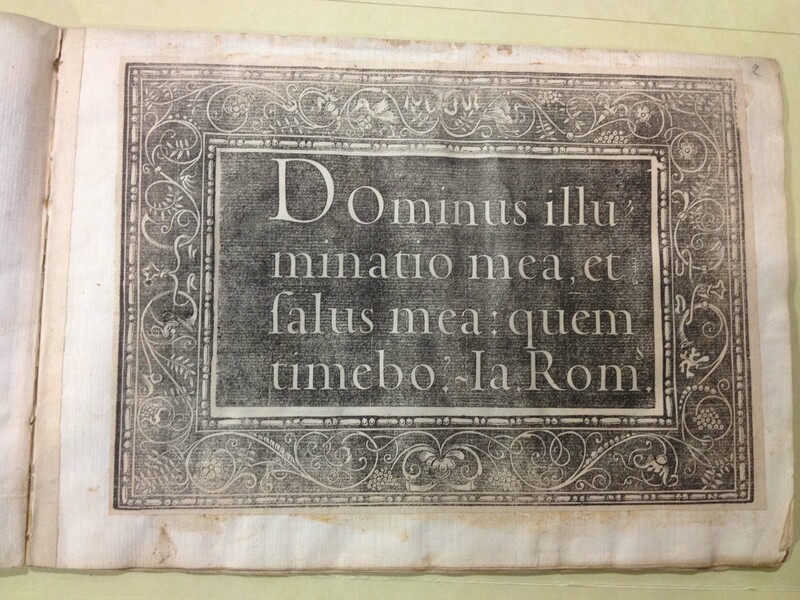 The advertisement suggests that the letters are impressed into the paper as the sheet is formed, but that would be different than what is clearly watermarked letterform. When I looked online I found that the American Antiquarian Society and the Massachusetts Historical Society have copies. It was an oddity that fascinated but at present was just one more curious 19th century innovation than never went anywhere. Clearly the pages were designed to maximize the paper mould with four different texts sewn onto the mould. But the work involved would be substantial. 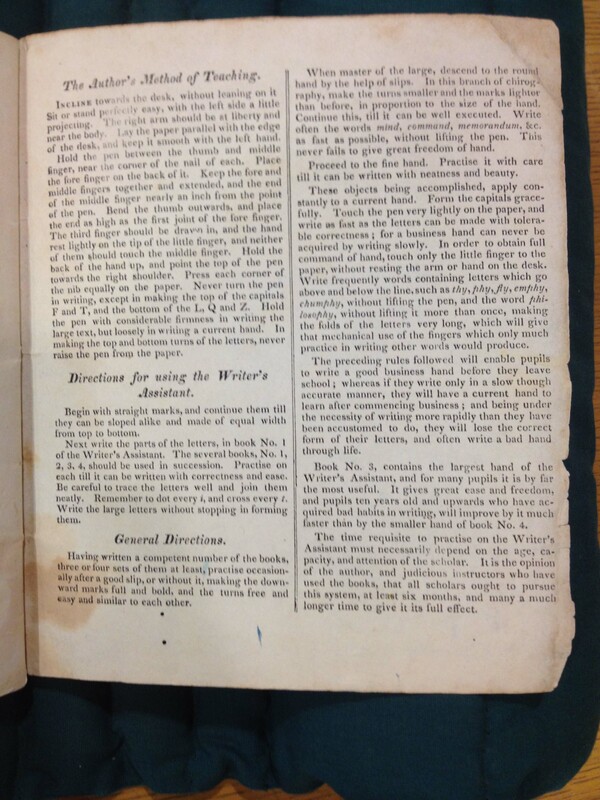 Did the printer/publisher have the paper made or did Joseph Seavy? He doesn’t appear in Ray Nash’s American Penmanship 1800 – 1850 and he didn’t publish writing manuals that I could find. The Writer’s Assistant. Joseph Seavy, Boston 1814.